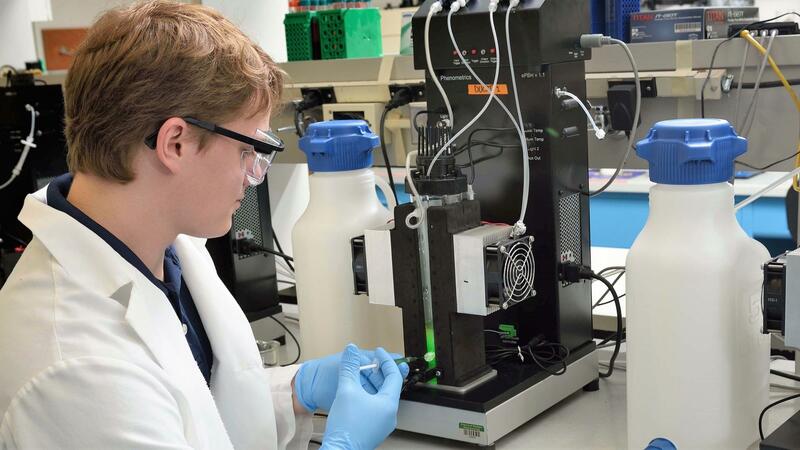 Michigan State University researchers are developing bioplastics from cyanobacteria. They're hoping the biodegradable products will replace single-use, traditional plastic items like takeout containers. 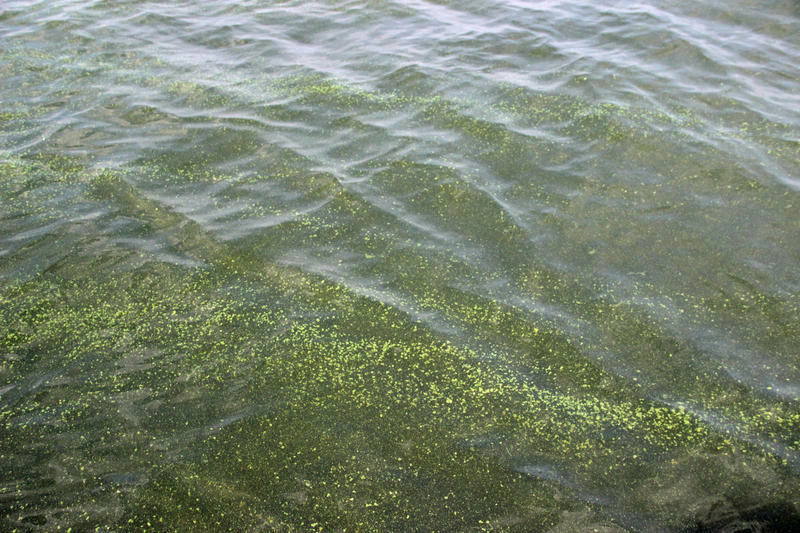 MSU researchers are using cyanobacteria, an ancient photosynthetic bacteria that’s like a simpler version of algae. It's everywhere, and the plastic we throw away is filling up our landfills and finding its way into our lakes and oceans. Environmental scientists are trying to develop alternatives to traditional plastic. 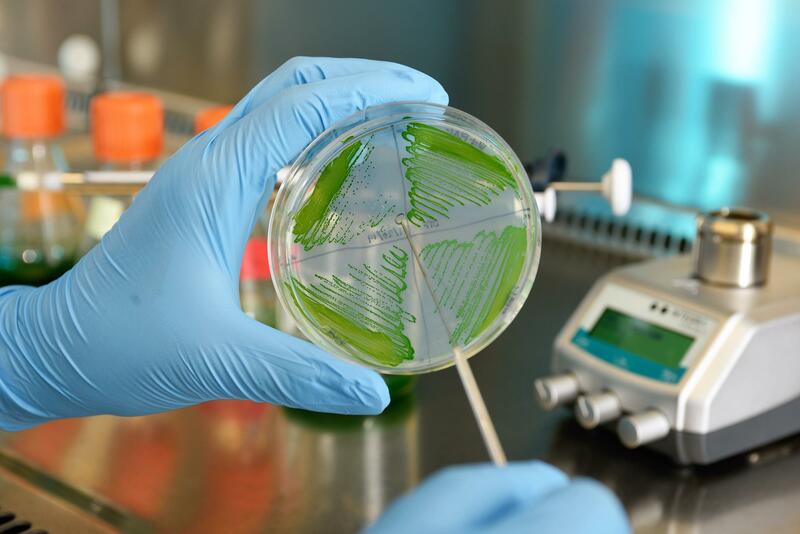 A team of researchers at Michigan State University is developing bioplastics made from cyanobacteria. Bioplastics offer two main advantages over traditional plastic, according to Danny Ducat, an assistant professor of biochemistry and molecular biology at Michigan State University. "They are derived from biological sources, usually plant-based carbohydrates, sugars, meaning that they’re not coming from a compound like fossil fuels that ultimately won’t be renewable," Ducat said. "Also, bioplastics hold the promise of being more biocompatible and potentially degrading in natural environments." That's where composting comes in. Unlike regular plastics, bioplastics are designed to break down. To make bioplastics, you need sugars. Most of the current bioplastics on the market are derived from corn and other plants with high sugar contents. But those kinds of crops are already in demand for other uses and farm crops require lots of resources – think water, fertilizers and harvesting equipment – that undermine the environmental upside of bioplastics. 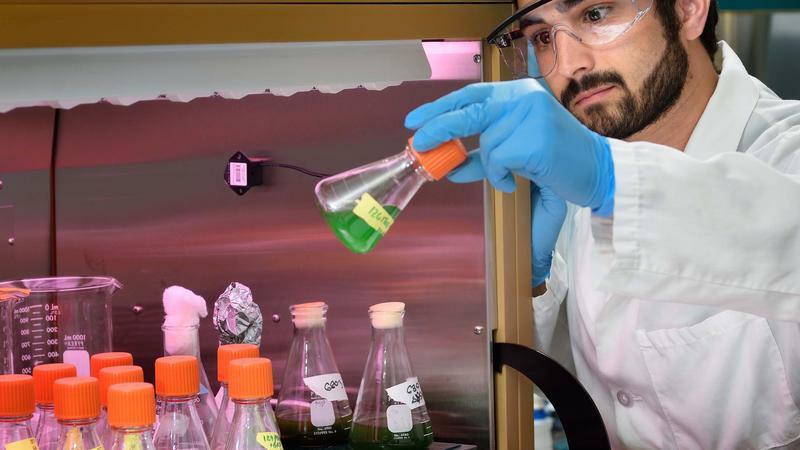 "What we wanted to do was to develop a system where we could use cyanobacteria, which is an ancient photosynthetic bacteria, kind of like a simpler form of algae, and use these cyanobacteria to generate the sugars that could be used for bio-industrial purposes," Ducat said. Ducat and the team at MSU are hoping the bioplastics they develop will be made into compostable alternatives to single-use plastic items. Clamshells used for takeout lunches, disposable silverware, and plastic and foam cups are some of the products they have in mind. 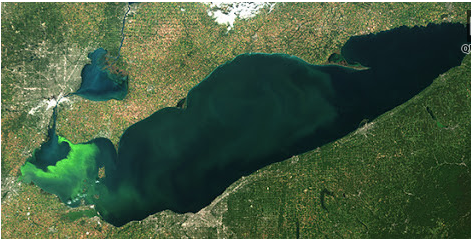 In the Great Lakes region, many people associate cyanobacteria with the toxic blooms that appear each summer on Lake Erie. A bloom in 2014 contaminated Toledo's water supply. But Ducat says the types MSU is using don't have the same toxic properties. "Cyanobacteria are a diverse class of bacteria. They have an extremely diverse array of species," he said. 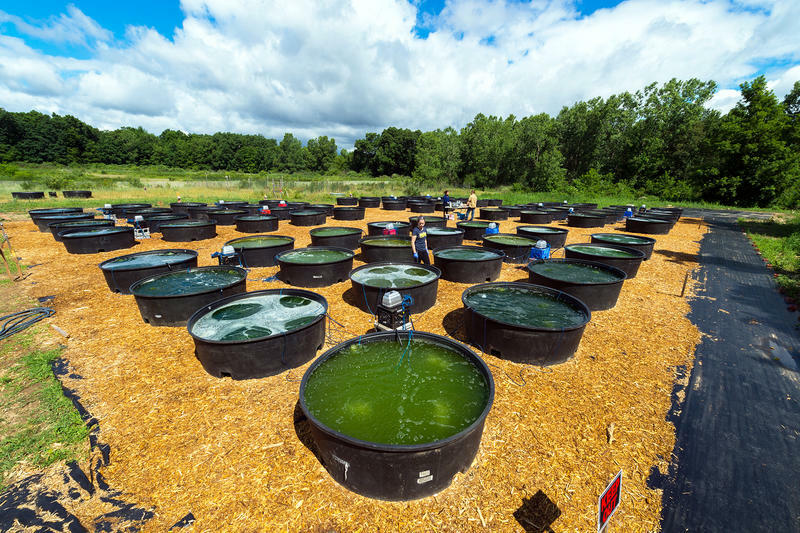 "The types of cyanobacteria that we’d be looking at mass cultivating [at MSU] are definitely friendlier." If success is a bioplastic product that is sold, used and eventually composted then composting needs to be more available. "There’s only about 10% of [traditional] plastics that are currently being recycled and the remaining plastics are either incinerated or end up in landfills or natural envrionments as pollutants," Ducat said. "So it’s really also important as we develop bioplastics to develop appropriate end of life streams for those plastics to be processed and then ultimately end up in a composting facility where they can be treated properly." Seattle and some other communities have adopted composting programs, but the option is far from widespread in the U.S.
"It’s also a bit of a chicken-and-an-egg problem, right? If you only have a fraction of the plastics that are biodegradable or compostable then there aren’t the incentives there to develop these composting facilities," Ducat said. In the meantime, Ducat and his colleagues have other issues to address, including finding ways to grow the cyanobacteria at a large enough scale. He says there's no fixed timeline, but he can imagine bioplastics produced from cyanobacteria being commercially available in 5 to 10 years.